byte.to Easy Chicken Recipes 103 Inventive Soups Salads Casseroles and Dinners Everyone Will Love - Filme, Spiele, Musik, Bücher und mehr kostenlos downloaden. 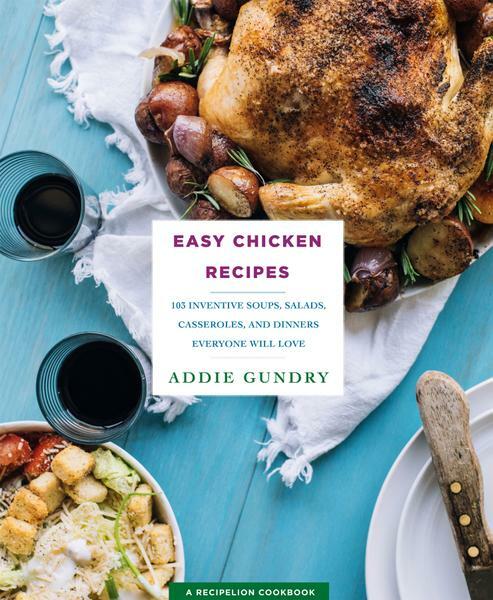 Addie Gundry, "Easy Chicken Recipes: 103 Inventive Soups, Salads, Casseroles, and Dinners Everyone Will Love"
From a perfectly golden roaster chicken surrounded with herbed potatoes to soups, salads, and casseroles that make myriad uses of the resulting leftovers, Easy Chicken Recipes by Addie Gundry is perfectly poised to answer home cooks twin boredom with and reliance upon the old standby: a chicken dinner. This book includes easy appetizers like spicy chicken potstickers, inventive casseroles like Frontier Chicken and noodle casserole, comforting soups, backyard favorites like Buffalo Chicken Sandwiches and more quick and easy weeknight dishes for the oven, the skillet, the slow cooker, and the grill. Each recipe is paired with a gorgeous, full-color, finished-dish photo.